Peter Jackson is at it again and gives us some footage from that March Live Event that Tim covered for us. Warner Bros. has allowed about 6 minutes of the event to be given to us and so have a look below. 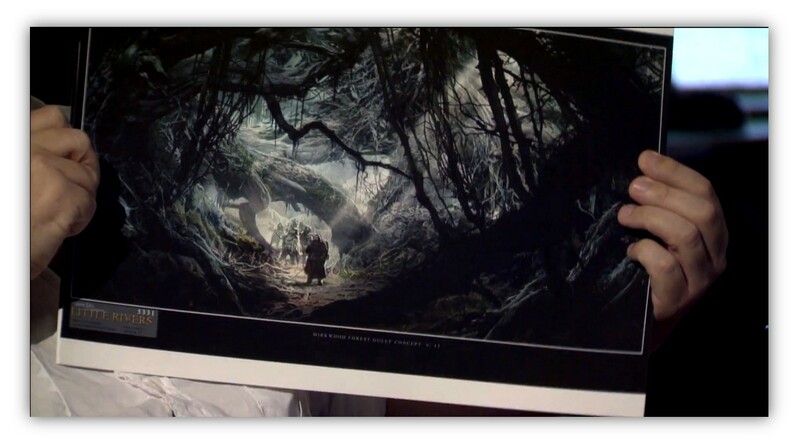 The concept art that I screen capped are labeled as: LITTLE RIVERS - Mirkwood Forest Gully Concept V. 13, and Mirkwood ERIDOR Wide Concept, respectively. Thanks to everyone who tuned into our Live Event last week. I’ve never done anything like that before, and I was pretty nervous. Hope it was ok. If you saw it, it was a pretty accurate picture of what life is like at the moment. Jabez and I sit in that editing room all day, every day, editing the second Hobbit movie, and we actually start on the third next week! A lot of that movie was shot nearly a year ago, so I’m looking forward to seeing it come alive, shot by shot in the cutting room. It’s like assembling one of those complex 2000 piece jigsaw puzzles. For us, this is really the being of 2013, so I look forward to posting a bunch more stuff as we work through the year. I think that an edited version of the Live Event is being made available over at the official Hobbit site, and Warner Bros have kindly let me post a 6 min excerpt here, to give everyone who missed it a sense of what it was like. Enjoy! 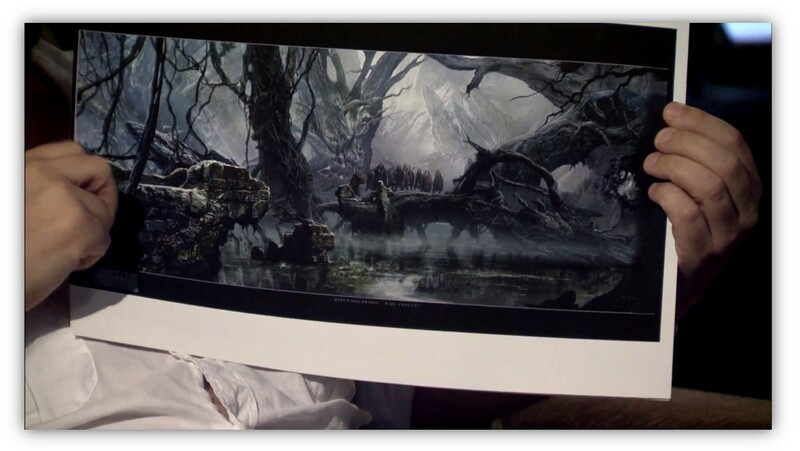 THE HOBBIT: THE DESOLATION OF SMAUG opens on December 13.